I got a small bag of White Chocolate Chai at a local DavidsTea, their customer service representative told me that it reminded her of Cardamom French Toast – which I liked. 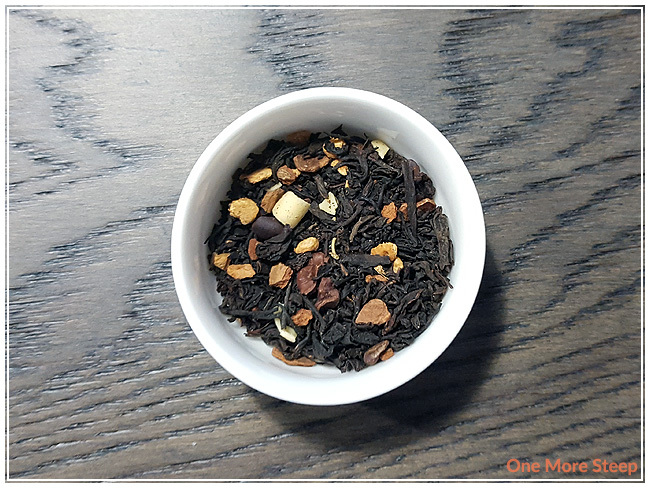 The smell of this tea did remind me of Cardamom French Toast a bit, but the ginger is quite a strong player in the battle of the aromatics in this black tea blend along with the cinnamon. I don’t really get a lot of chocolate/white chocolate fragrances from this tea. White Chocolate Chai is made up of: black tea, ginger, cinnamon, cocoa nibs, white chocolate curls, cardamom, cloves, cocoa powder, stevia extract, natural and artificial white chocolate flavouring. 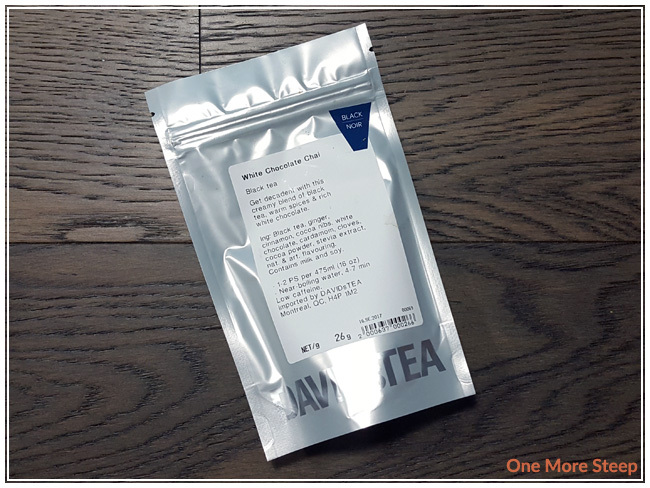 DavidsTea recommends steeping White Chocolate Chai in “near-boiling” water (194-203°F/90-95°C) for 4 to 7 minutes. I opted to do an initial steep of White Chocolate Chai for 5 minutes. I checked it at 4 minutes and could still see unmelted chocolate. 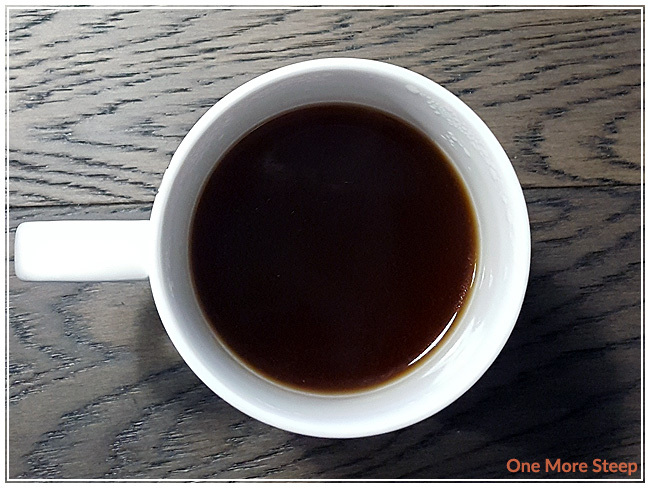 White Chocolate Chai steeps to a warm brown colour, with a bit of an oil slick across the top (oils from the melted white chocolate). It’s a bit cloudy (again, because of the chocolate), and has a very interesting smell. I say interesting because it confused me at first and I couldn’t quite place it. There’s the warming aromas of the ginger, and I can smell the cardamom and cinnamon. 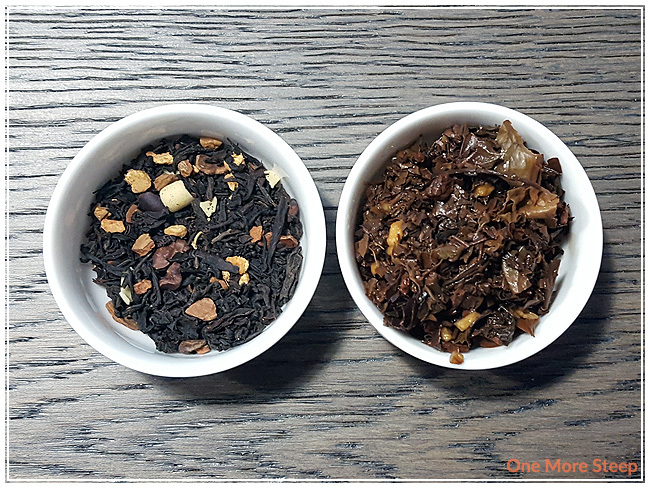 The taste of this tea has mostly ginger, with a touch of the cardamom, cinnamon, and cocoa. There’s a hint of bitterness at the end of each sip. I found that most of the spices were well-balanced, besides the ginger that just edged everything out. The ginger has a bit of spiciness and heat, but it doesn’t seem to mix well with the black tea. Despite the white chocolate and the stevia, I didn’t find the tea particularly sweet. There’s the odd aftertaste from the stevia, which reminded me why I don’t usually use artificial sweeteners. 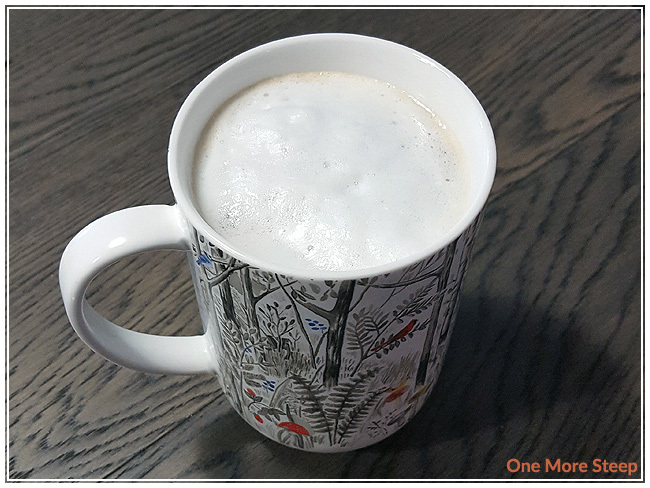 I did try White Chocolate Chai as a latte and found that the addition of milk helped soften the ginger, but it didn’t do much to hide the artificial taste of the stevia. It was drinkable, but still had the artificial aftertaste of stevia. I attempted to resteep White Chocolate Chai and found it to be watery and didn’t taste at all like the initial steep. If possible, the stevia aftertaste is stronger in the resteep. 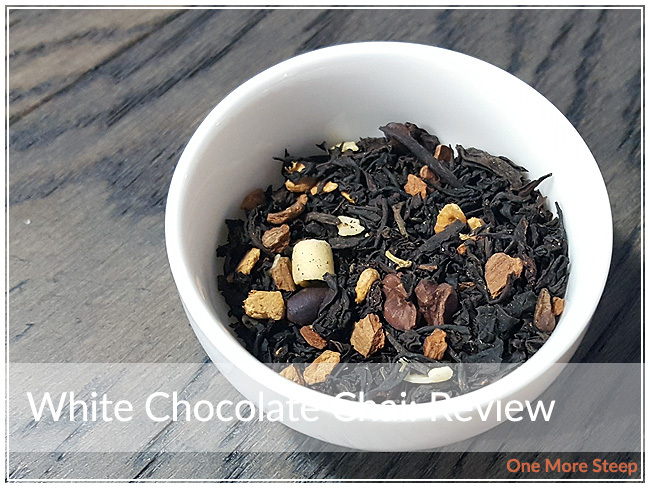 I didn’t like DavidsTea’s White Chocolate Chai. I really wanted to enjoy this one, because I love the idea of a white chocolate tea (because I love white chocolate). The unfortunate thing is that I didn’t like the stevia aftertaste – it just lingers quite a bit in the mouth and I didn’t like it. Despite the name, this black tea blend did not remind me of white chocolate or chai, which is quite unfortunate.